GOAL #1: BE GREAT AT KEEPING UP WITH YOUR EXISTING FINANCIAL AND PRAYER PARTNERS. Spend some time organizing your social media, including any Facebook groups you’ve created for your partners. Develop an ongoing plan for regular posting this year. If your stuck for ideas, look at what other workers are doing who seem to have healthy support and social media a strong social media presence. This year, do more than just send a quarterly newsletter to your team. Move your communication beyond that, and find various ways to reach your team personally. Of course, keep doing the newsletter, but also think of ways to communicate individually with your support team members such as sending individual postcards, saying hi on Facebook Messenger, sending a text, sending a video, Skyping, etc. Statistically speaking, the majority of people who stop giving do so because they don’t think the person they are giving to cares about them. Remember, without your financial and prayer team you WOULD NOT be ministering to your particular population. Make them feel valued and it will make all of the difference to them, and ultimately to you. Strive to keep your financial partners informed and make them actual friends. Contact them personally, ask how they are doing, and how you can pray. Give personal updates. I PROMISE this is a BIG DEAL. Set weekly and monthly calendar reminders for ongoing communication with your team. Have ongoing reminders pop up on your phone / computer and rotate who gets a personal email (or whatever medium you choose), so that you have reached out at least twice a year personally to everyone on your support team. The communication can be comprised of a brief update of how you are, asking them how they have been doing, and if they have any personal prayer requests. It doesn’t have to be long to be effective. GOAL #2: STAY (OR GET) ORGANIZED. This goal is pretty self explanatory. If you are struggling in an area of staying organized, get back on the horse. Being organized with records of who you have asked, who has given, when they have given, how much, etc. is important to have in the genesis of a lifestyle of partnership development. If you are organized you will have more time for ministry and more time for staying connected with your financial and prayer partnership team – it’s that simple. GOAL #3: MAKE YOUR PRESENTATION GREAT. If you are regularly speaking inside church congregations or small groups, make sure what you are saying is as effective as it can be. Don’t have a mediocre presentation – make it great! Video yourself giving your next sermon or 5 minute window in front of a congregation. Spend some time going through that video and thinking of ways you could improve. Send it to a few trusted friends for a critique. Having their honest feedback could be what takes your presentation from “meh” to “YESSS! !” If you haven’t polished your presentation in awhile go through it with fresh eyes thinking of ways to improve. Maybe you could add a short video, or a visual of the population you serve? Maybe you could add a new effective story? 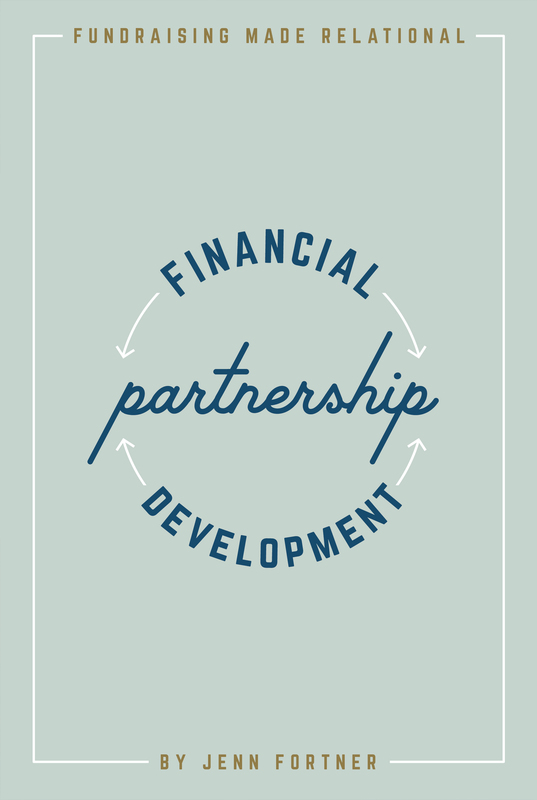 GOAL #4: PRAY FOR YOUR FINANCIAL AND PRAYER PARTNERSHIP TEAM. When was the last time you made prayer for your financial partnership team a regular part of your prayer life? Have you ever prayed for your team? If you haven’t taken the time to talk to God about your team, then start this year. There are multiple benefits of praying for your team that go beyond the obvious. For starters remembering your team in prayer will promote your desire to stay connected to them, naturally have you asking what is going on in their lives, and will remind you that they are a vital part of your ministry. GOAL #5: SPEND MORE TIME LISTENING. Research states we retain around 25% of what we hear, and in an average conversation we spend around 60% of our time listening. We take the skill of listening for granted, but may I suggest let’s get really good at listening 2019! Be interested in other people above yourself, don’t listen with the intent to reply – listen with the intent to understand. It will make all of the difference in your communication and how others perceive you as a leader in ministry. GOAL #6: USE VIDEOS. According to statistics found on the www.Cadre31.com website videos on landing pages increase conversions by 87%. Not only that, 65% of audiences are visual learners and visual data is processed 60,000 times faster by the brain than by text. Let the reader understand: videos are a big help in effectively communicating your vision. If you have not created a high quality video that communicates your ministry vision I highly suggest you make one in 2019. May your 2019 be a year filled with happy and relational support raising! Checking in to see if your can help me with a few resources. I have set a new goal this year to read more. Can you suggest any good books – with a biblical perspective, hopefully – that talks about customer service, building good relationships, work, multitasking, writing. These are all areas I would like to improve on this year. Any suggestions you might offer I would be so grateful! Hey Sue! I know of great books in the area of support raising to share with a biblical perspective – Funding Your Ministry by Scott Morton, The God Ask by Steve Shadrach, and The Spirituality of Fundraising by Henri Nouwen are all great! As far as books on customer service, multitasking and writing in and of themselves, I unfortunately do not have any huge recommendations on that. The books I mentioned above do emphasize the need for building good relationships, work, and tasking appropriately in the context of support raising. Another good resource to check out is the 7 Habits of Highly Effective People if you haven’t already read it – it’s a classic on good habits and sorta in a round about way encompasses a lot of what you are talking about wanting to grow in. Sorry I can’t be more helpful!